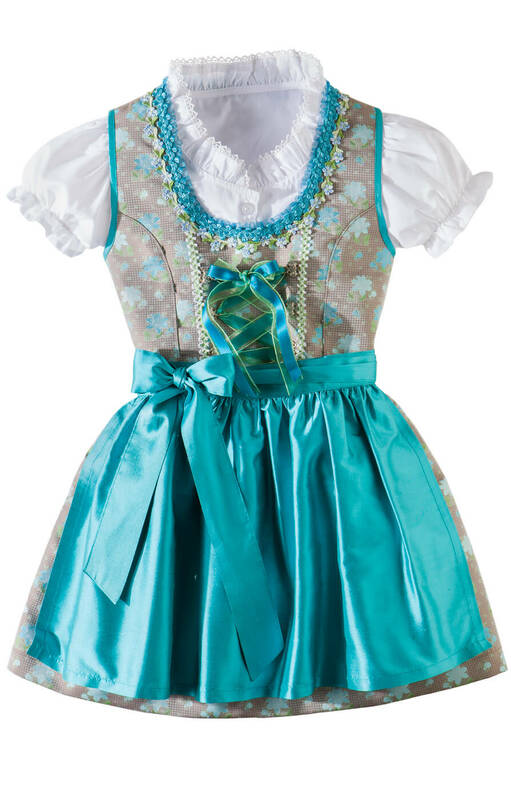 Girl's Dirndl Elly in Turquoise with Blouse. 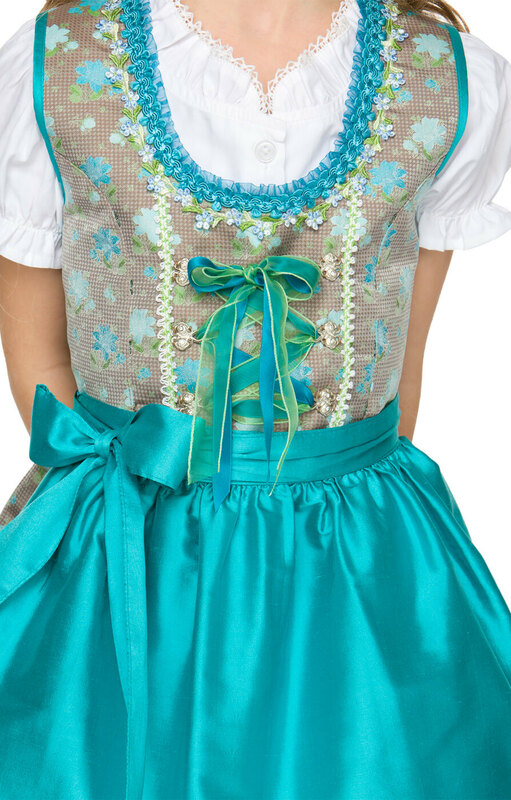 This playful over-the-knee dirndl with turquoise, mint and baby blue floral motifs on a taupe houndstooth pattern will put a smile on any young lady’s face. 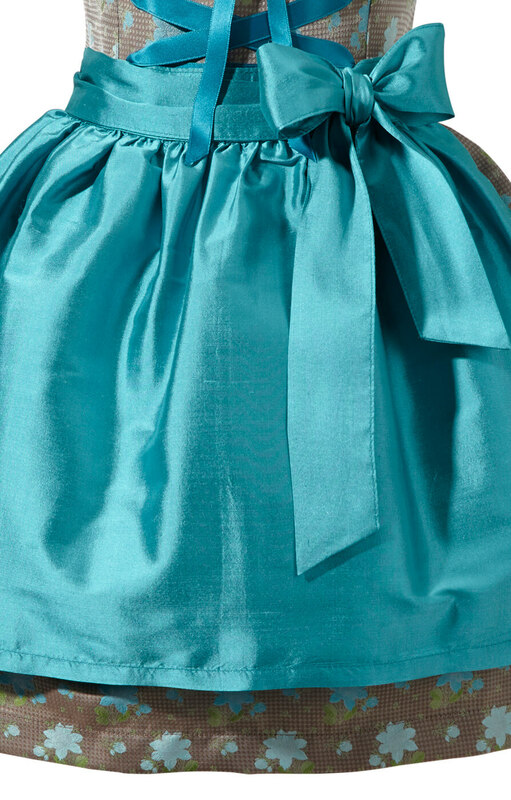 Piped with matching turquoise ribbon, the set-in bodice fastens around the waist with an apron bow. The round neckline trimmed with ribbon extends toward the waist with two cream lace-trimmed pipes. Either side are three floral hooks holding together the contrasting blue and green ribbons that zigzag for a snug fit. 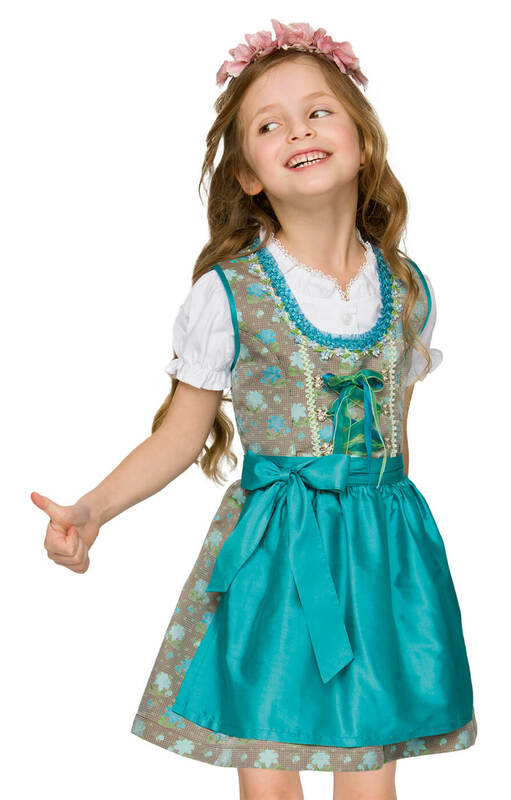 This gorgeous dirndl set comes with a ruffled short-sleeve blouse. Match with simple dirndl shoes to complete the look. und Preise/ Leistung ist auch absolut in Ordnung.